From time to time we have an excess of certain stock which is sold on this page at heavily discounted prices. If colour choices are appropriate, please specify alternatives in case your first choice is not available as we do not regularly update this page. 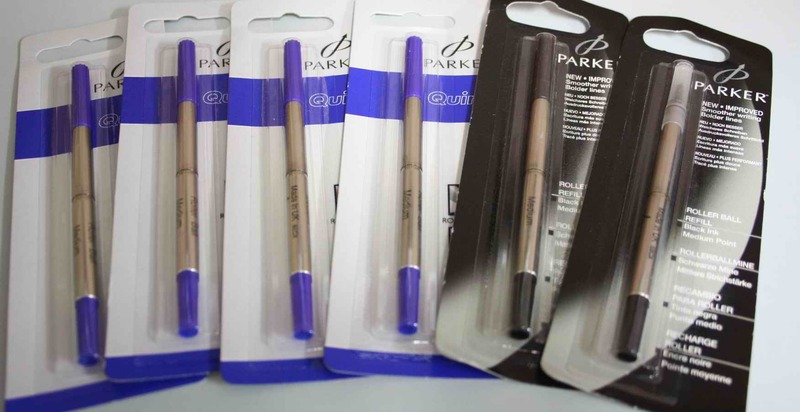 Brand new in original Parker packaging. Recent production. 4 blue and 2 black. $15 the lot + GST. 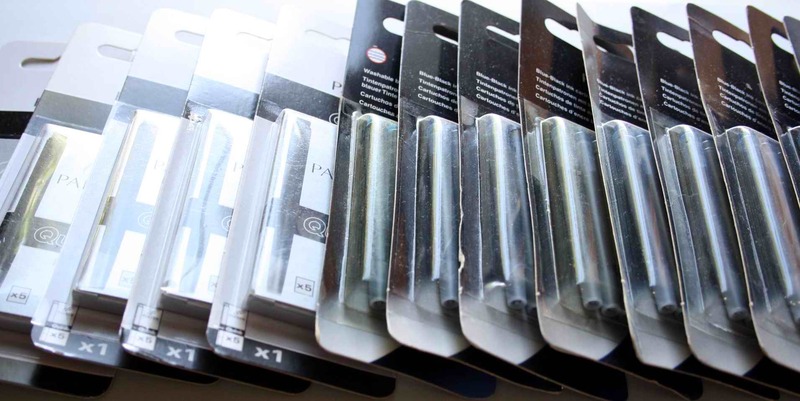 Parker (long) ink cartridges. In packs of 5. 5 packs of black and 10 packs of blue-black, a total of 75 cartridges. 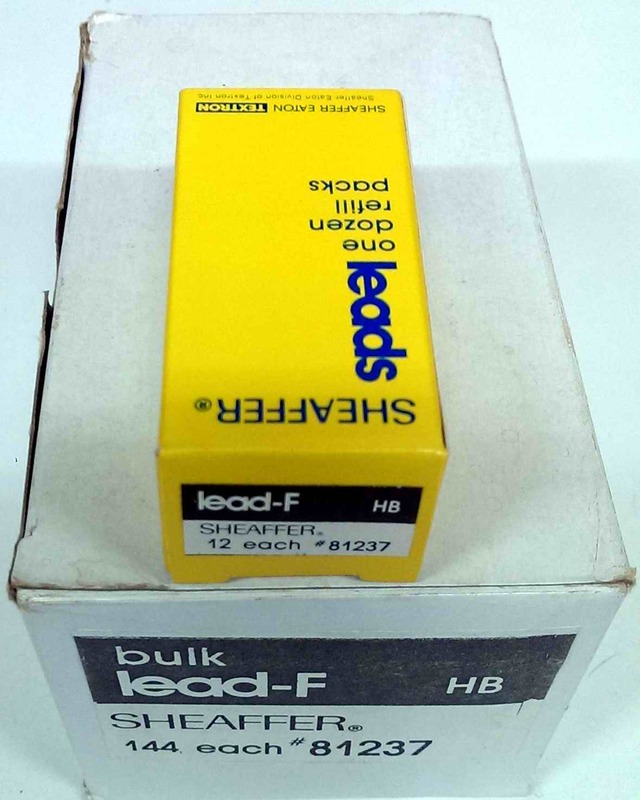 Brand new in original Parker packaging. Recent production. $40 the lot + GST.